Over the weekend, Switzerland voted to be the first country in Europe to ban the construction of minarets on mosques. While one might accept the result as a simple example of religious xenophobia or fear, it has implications for those of us interested in nations and nationalism as well. Traditionally, Swiss identity is tied to the country's mountainous geography and to the ability of its heroes— such as Wilhelm Tell—to repel invasion attempts. Yet, even as the nation's geography allowed for unfriendly outsiders to be kept at bay, so too the country prided itself on a diverse linguistic, cultural, and religious composition. The oft-stated pride in diversity grew from the historical evolution of Swiss nationalism—a story that is actually about ongoing and often heated debate concerning whether to celebrate diversity or to banish it. If the country was said to be inclusive, the claim was audible because a specific group hoped to obscure the anti-cosmopolitan rhetoric of those anxious to keep out those they found to be undesirable. Briefly, the Swiss Confederation was founded in 1307. Initially, most patriotic organizations imagined the country as inclusive, focusing debate on the most effective way to improve life for the people of Switzerland. By the 1770s, however, an anti-cosmopolitan backlash developed against foreigners and foreign travel. From that point forward, inclusive and exclusive national identities competed for supremacy. Even when an "inclusive" vision of Swiss identity was dominant, below the surface Catholics and Protestants did not trust each other. Catholics were perpetually fearful that the government would undermine their cantons. Various factions debated everything from national holidays to the development of cultural institutions to the very foundation date of the Swiss nation. The entire story was one of constant and on-going debate—a saga that is brilliantly detailed by Oliver Zimmer in his book A Contested Nation: History, Memory, and Nationalism in Switzerland, 1761-1891 (Cambridge and New York: Cambridge University Press, 2003). It seems entirely reasonable to understand the recent referendum result in light of the long-term dialogue about the meaning of being Swiss. The country has long been multicultural because it housed groups from various religious and linguistic backgrounds. Italian, German, and French speakers cohabitated, as did Protestants and Catholics. Sometimes all got along peacefully, other times conflict was rife. Today, more ethnic and religious groups are represented, but the old divisions remain and the perpetual debate about national identity persists. The Guardian's video-taped reactions by a number of down-beat Swiss citizens reflects this debate. Over the weekend, a plurality of voters adopted an exclusive view of Switzerland; those interviewed seek a more inclusive vision. 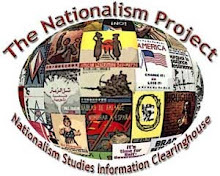 For those of us who study national identity, it is necessary to not only acknowledge the ongoing debate about identity, but to make it central to our understanding of nations and nationalism. Although all nations present a rhetoric of unity to the world, below a surface of equanimity always lies debate. Rather than trying to understand a single "imagined community," scholars need to explore the perpetual process of re-imagining the nation.